Play audio Flexible friends? from BBC Radio 5 liveFlexible friends? A Norwegian Air subsidiary has agreed with Airbus to postpone plane deliveries scheduled for this year and next, cutting capital spending by $570m (£435m), the loss-making budget airline says. The postponement covers an order for A320 Neos and A321 LRs from Dublin-based aircraft lease company Arctic Aviation Assets and comes on top of order delays outlined in February. The same month, the company raised 3bn crowns (£267m) in a rights issue to boost liquidity. US stocks have closed slightly higher as investors largely shrugged off benign US inflation data and unsurprising minutes from the Federal Reserve's March meeting. The Dow Jones Industrial Average rose 6.58 points - a mere 0.03% - edging up to 26,157.16. The broader-based S&P 500 gained 10.01 points or 0.35%, ending the day at 2,888.21, while the tech-heavy Nasdaq Composite added 54.97 points or 0.69%, rising to 7,694.24. Cheaper bills ahead for energy customers? Any gas and electricity being used now by most householders on default tariffs is being charged at a higher price - but analysts say there is better news ahead. The new price cap set by regulator Ofgem kicked in at the start of April. As a result, energy firms are allowed to charge these loyal customers more. Typically, this means the annual household bill is going up by £117 a year. However, the cap will be reviewed again in a few months, and a new limit will be set in October. Analysts at ICIS say that wholesale prices of energy have fallen "substantially" in the last two months and it expects them to continue to fall. So, for householders, a new lower price cap - and, therefore, cheaper bills - may well kick in just as they turn the heating back on for the winter. But the PM swerves outlining what will happen if EU leaders offer a longer extension period. Federal Reserve policymakers debated how to manage the US central bank's massive holding of bonds while agreeing to be patient about any changes to interest rate policy, according to the minutes from their March meeting. The minutes, released on Wednesday, show the Fed saw the US economy weathering a global economic slowdown, and policymakers made clear they saw no recession for the US in the new few years. The Financial Times has an article exploring when and how Theresa May could cease being prime minister. She said she will step down if her Brexit deal was passed. It didn't, so she is still in post. The FT article says she could go if her Brexit plan doesn't pass and the Conservatives are punished in the polls in the European Parliament elections, and the local elections in May. Or, her deal could pass, and she resigns - or stays. The Yomiuri Shimbun reports that Japan's anti-trust watchdog has raided the local offices of US firm Expedia, Netherlands company Booking.com and Rakuten Travel. The Fair Trade Commission is apparently concerned that the sites were forcing hotels to list rooms at certain prices, and make a specific number of rooms available. More than 40,000 accommodations are listed on Expedia and Booking, while Rakuten boasts more than 30,000 hotels on its site. Unions at Tata are now "unconvinced" the proposedmerger with the German steel giant, Thyssenkrupp, should happen, despite previous support for the deal. It comes after the two companies proposed measures including the sale of Tata's Trostre site in order for the merger to get the go ahead from the EU. The European Commission is concerned that the joint venture would lead to reduced competition and increased prices in certain markets such as tin plate packaging. Tata's European Works Council (EWC), which includes UK and Dutch unions, says it's against the sale of Trostre and other proposed measures. The unions are increasingly concerned that the deal is less of a merger of equals and more of a takeover of Tata Steel by Thyssenkrupp. They're calling for an urgent meeting with Tata. "The way the process has been handled is completely unacceptable," the European Works Council said. The EWC said the current proposals would see more than 2,000 jobs would go from Tata while there's "no evidence" of similar reductions at the German company. German Chancellor Angela Merkel has said the EU is likely to agree to a longer Brexit delay than the one Theresa May is asking for. The UK Prime Minister will meet the EU 27 leaders later on Wednesday to press for a further extension to the Article 50 withdrawal process to 30 June to allow Parliament to agree a deal to leave. However, Mrs Merkel, who met Mrs May in Berlin on Tuesday, suggested the EU "may well" go for a longer delay, although the UK would be allowed to leave "very quickly" if Parliament approves a withdrawal deal. "We will shape this extension in such a way that, whenever Britain has approved the withdrawal agreement, Britain can then complete its orderly withdrawal very shortly after," she told German MPs. "We will discuss what kind of extension we want to grant to Great Britain. It could well be that it is a longer extension than has been requested by the British prime minister." US banking bosses have been testifying to Congress, and they were asked, in the light of a possible hard Brexit on Friday, what Brexit contingency plans they had made. Citigroup chief executive Michael Corbat said the bank had relocated out of the UK to Ireland, moved a portion of its broker dealer from the UK to Germany, and moved people to support those plans. NY Mellon chief executive Charles Scharf said it had moved a series of activities and individuals from the UK to its bank headquartered in Belgium. It also had moved some client transactions out of the UK. Sir Richard Branson has said he is "devastated" for Virgin Trains teams after the Department for Transport decided to disqualify its bid for the West Coast mainline. "We’re baffled why the DfT did not tell us that we would be disqualified or even discuss the issue – they have known about this qualification in our bid on pensions for months," he said in a blog post. "We can’t accept a risk we can’t manage - this would have been reckless. This is an industry-wide issue and forcing rail companies to take these risks could lead to the failure of more rail franchises." Part of the fallout from Stagecoach being barred from rail franchise bids as part of a pensions row is that Virgin Trains could cease to exist, a Virgin Trains spokesman tells the Business Live page. This may be as early as 10 November 2019, or it could be as late as 31 March 2020, the spokesman says. The BBC's transport correspondent Tom Burridge says: "Unless there is a successful legal challenge to the government’s decision to disqualify Stagecoach’s bids for three franchises, including the West Coast mainline, then Virgin Trains will cease to exist when the current franchise expires. Virgin Trains currently employs 3,600 people in the UK." Virgin Trains said it was "very disappointed by the DfT’s unexpected decision". "We’re studying the DfT’s decision carefully to understand why they’ve taken this action and would like to reassure all our customers that they can still book and travel as normal," the firm said. Lawyers for Mike Ashley's Sports Direct have written to Debenhams administrators FTI Consulting claiming the firm has a conflict of interest. The RPC lawyers said FTI Consulting was involved in advising Debenhams, transacting the pre-pack administration which transferred ownership of the retail chain from its shareholders to its lenders, and was "heavily involved" in the "failure by the company, its lenders and advisors to seriously engage" with Sports Direct "rescue proposals". "It is clear that you are conflicted," the lawyers added. Sir Philip Green's biggest investor has sold its 25% stake in Topshop and Topman back to Arcadia - the company that owns and operates Sir Philips wider retail empire. US based Leonard Green Partners bought its stake in Arcadia’s two top retail brands in 2012 for a reported 350 million pounds. The investment group was seen as strategically important to help Topshop and Topman break into the US retail market. Arcadia (which also owns Dorothy Perkins, Evans and Miss Selfridge) said the sale and the removal from the Arcadia board of two Leonard Green representatives would allow it to focus on its restructuring plans without having to rope in external directors at every turn. That restructuring is thought to involve a form of insolvency proceedings called a Company Voluntary Arrangement allowing it to exit or reduce rental agreements with retail landlords. Many other retailers - including the Arcadia owned BHS - used a similar mechanism when it was fighting (unsuccessfully) for survival. Arcadia is also in ongoing discussions with the Pensions Regulator to negotiate a reduction in cash contributions to its pension scheme which is over 500 million pounds in deficit. 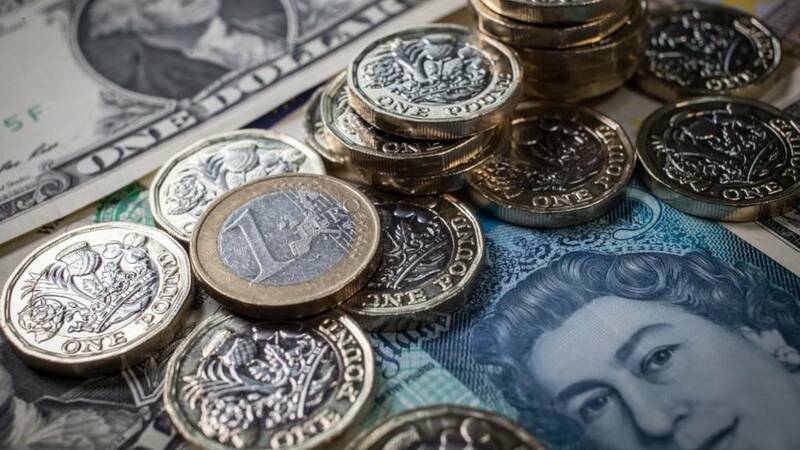 The euro fell against the pound and the dollar after European Central Bank chief Mario Draghi flagged downside risks to the eurozone economy. Mr Draghi told a media conference that economic data is weak and that the impact of country and sector-specific factors is lasting. Could the UK services sector drag on GDP?